The sweet corn tamale is one of the delights I ate at The Turquoise Room. I bought their cookbook and couldn't wait to make it. Sweet corn tamale served on a green corn husk. 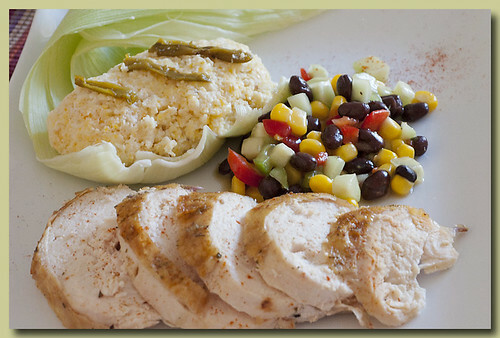 I served it with a corn and bean salad and roasted chicken breast. 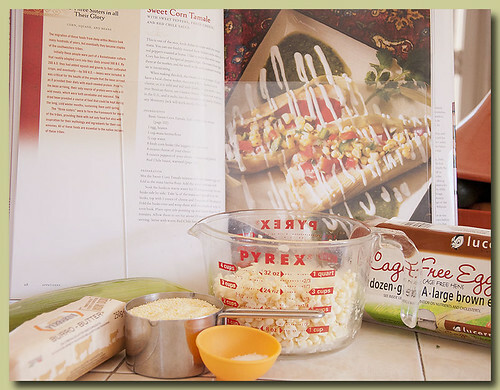 The recipe in the cookbook is the basic sweet corn tamale recipe. It can be filled with any filling of your choice. For now, I made and served the basic version, which in itself is delicious. 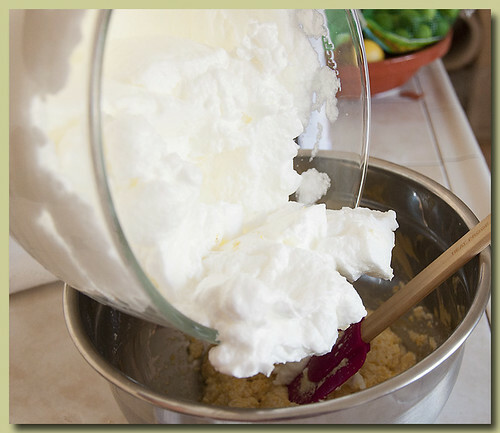 For the recipe you'll need corn, egg whites, salt, cornmeal and butter. I saw somewhere that if you put the cob on the center post of a bundt pan it makes the job easier, well, not for me. I kept whacking my knife blade on the pan, not good, so I went back to my old ways of using a paper plate. Puree the corn. 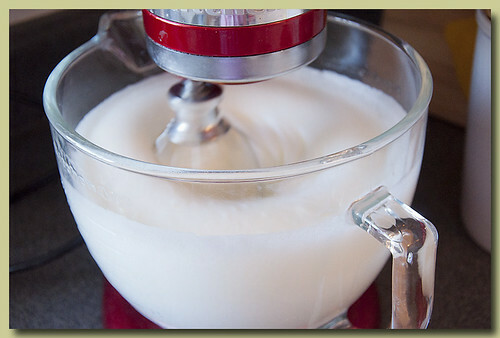 I used my handy dandy immersion blender. 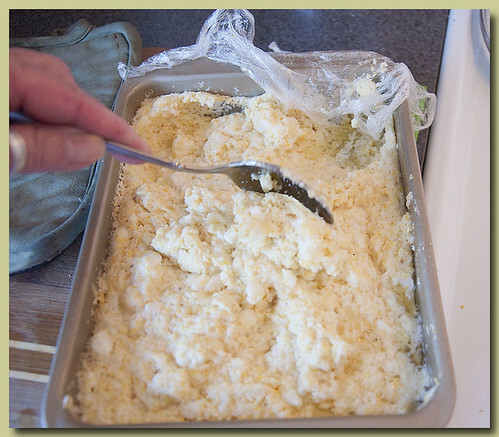 Add the salt and cornmeal to the pureed corn. 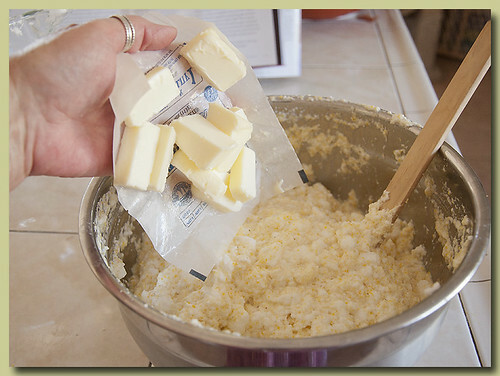 Fold the egg whites into the corn puree. Add walnut sized pieces of butter to the puree. 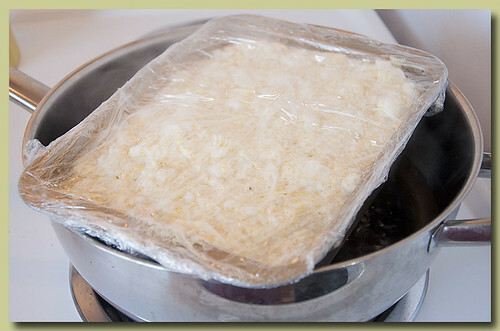 Add the puree to a buttered pan, cover with plastic wrap and place in a stove top steamer pot. I don't have a stove top steamer pot so I had to get creative. In my largest saucier I brought water to a boil, then reduced to a simmer. I balanced a small baking dish on the edges of the pot. I had to do this in two batches. Because of the balancing pan/pot act, the lid doesn't fit snugly. 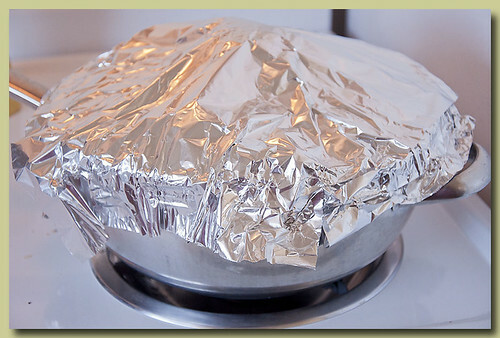 I was concerned that too much steam would escape so I covered the pot, lid and all, with aluminium foil. In retrospect, this was overkill, just the lid would have been fine. Halfway through remove the pan from the steamer and gently bring the edges into the middle. Cover and return to cook. Here's their recipe, I hope you try it. 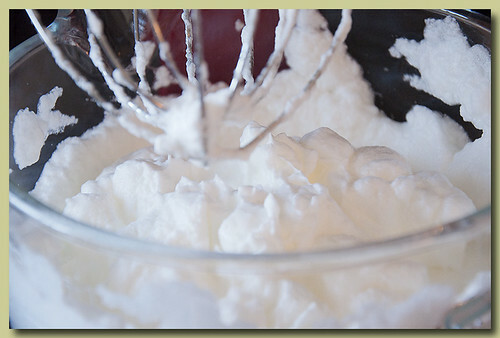 the egg whites until stiff and firm. 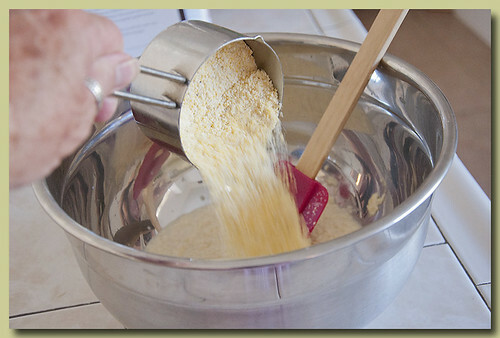 While they are whipping fold the salt and cornmeal into the corn purée. so as to leave as much air in the whites as possible. Break the butter into walnut-size pieces and fold them into the mixture. 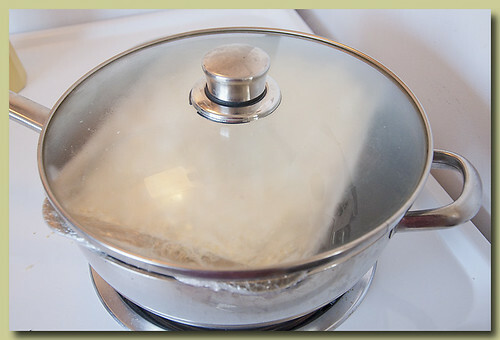 You will need a container that fits into the stove top steaming pot. 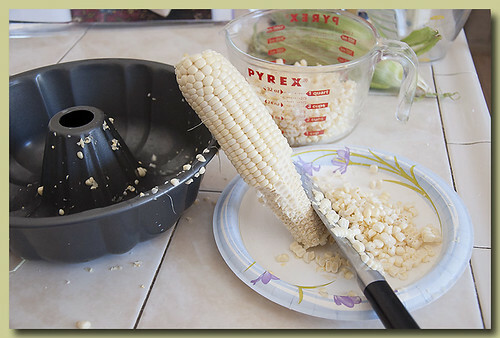 find fresh corn then you may use frozen corn. that has green husks around the masa. It is steamed and served immediately. realize it ahs a tendency to disappear rthe moment it is left out to cool.